Really lovely! I think I might pinch this idea too. ooooh Lovely. Could just imagine lounging there with a good book and glass of wine. Living room- I'm afraid I'll get it wrong!! Oh, that's a good idea. A plain colour or with a pattern? Do you think the sofa is right....I have my doubts about it. The shape may not be very modern and the house is modern. I just want to make sure it's cosy. Oh wow! Thanks everyone... So so much... I would never have seen some of the things that you have pinpointed. I have already got the cabinet and under cabinet lighting, it was turned off when I took the earlier shots. I totally get the suggestion to remove the cabinets etc near the window but would prefer not too just yet... I am back pocketing that for next year! I will add some items on top of the cabinets, and the artwork that you suggested too in the meantime. 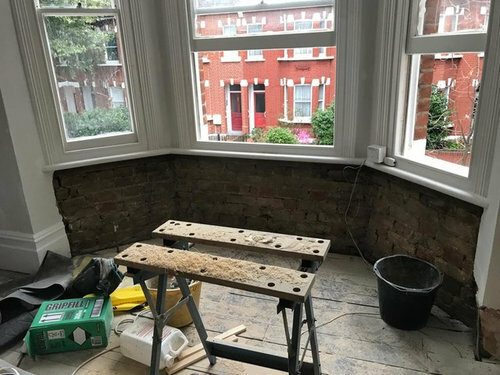 The window seat I had in mind was for the living room area, instead of the two seater. Would that look better than the two piece, with colourful cushions, and if so should I add a built I cabinet for the tv (right beside it) in the same painted wood colour as the window seat? 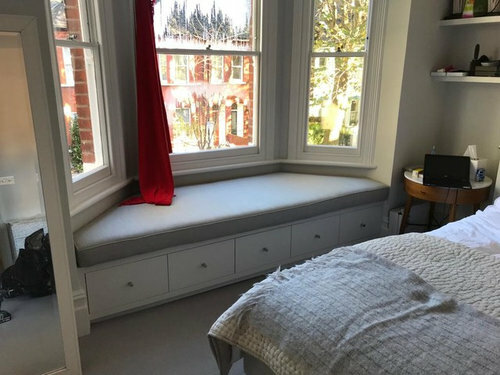 Also should I put curtains either side of the window seat if I opt to go with that, or stick just with colourful roman blinds? I will look into fixtures for lights and have already started the fabric hunt for curtains/roman blinds/ cushions etc. Also, what colour would you recommend to accessorise the room with?